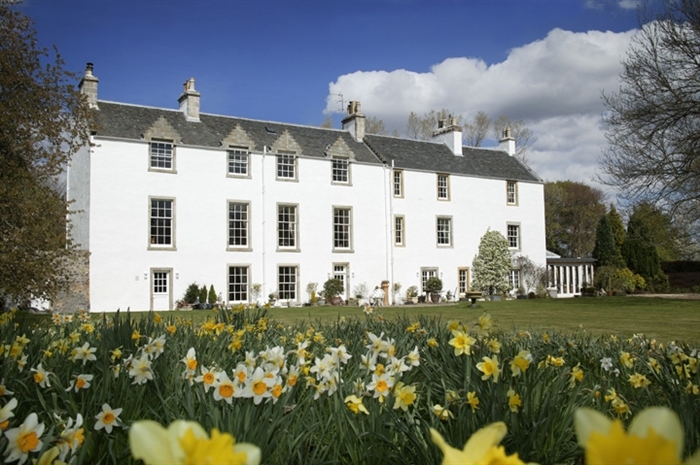 With wholesome Scottish food, roaring log fires and indulgent surroundings, Chris and Barbara warmly welcome you to Letham House. 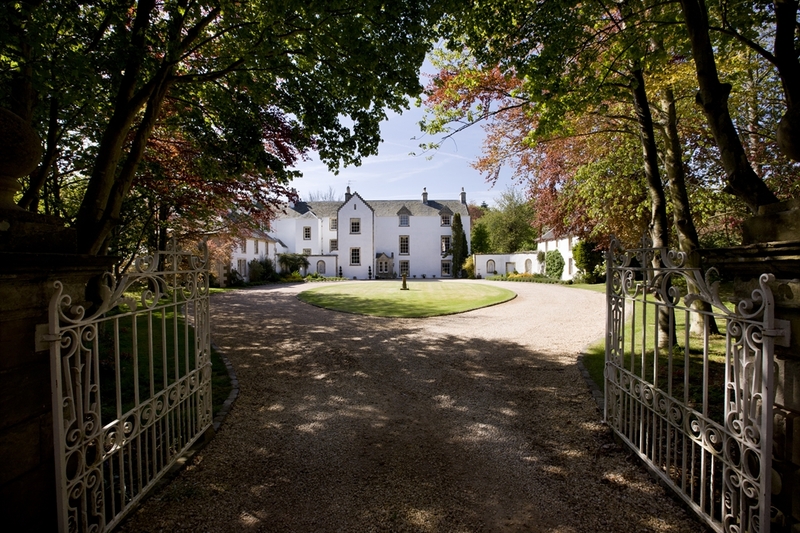 Whether you spend time in your private suite, take advantage of the public rooms or take a stroll through the grounds, you are sure to become submerged in complete peace and tranquillity here at Letham House. 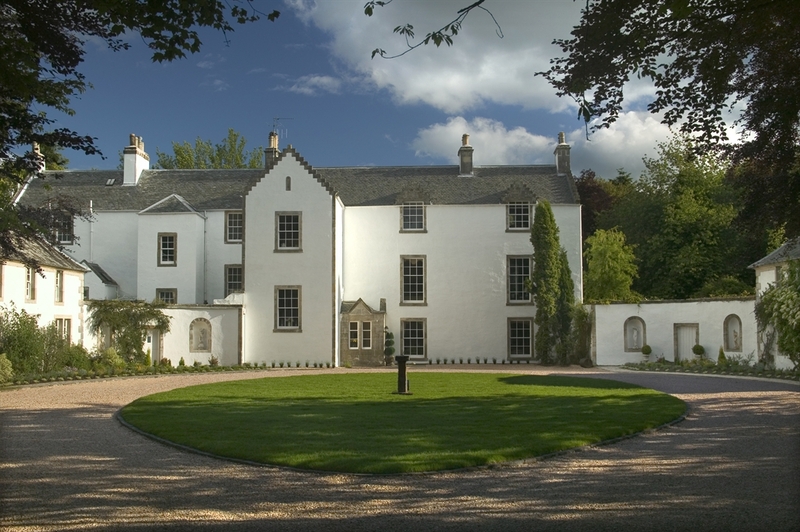 Nestled at the foot of a secluded rhododendron-lined drive on the outskirts of Haddington in East Lothian is Letham House. 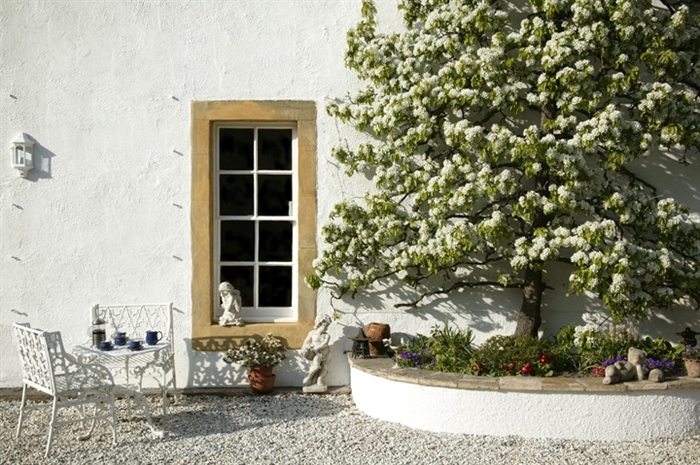 Only 16 miles from Edinburgh, this 17th century mansion boasts exceptional accommodation and dining in a magical setting. Each of the individually designed suites enjoys south facing views over ten acres of mature private gardens and grounds, while sumptuous fabrics, roaring fires and beautiful antiques evoke a sense of luxury and indulgence. 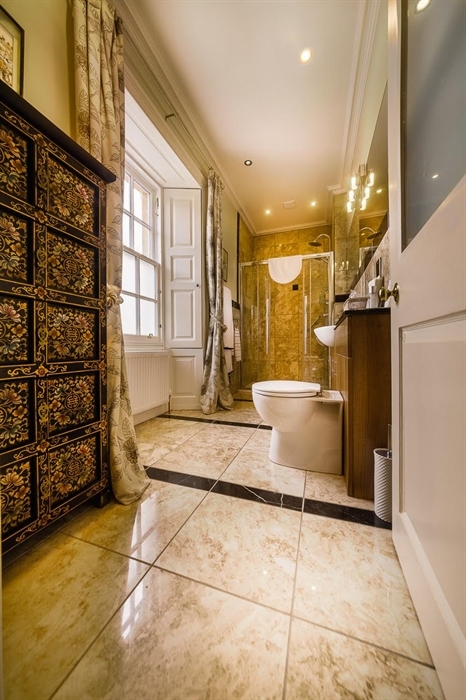 Elegant staircases and architectural features restored to their former glory reflect a bygone era and are complemented by wonderful, modern bathrooms with heated floors and mirrors, marble flooring, Victorian roll-top baths and large showers. There is even a guest kitchen for midnight snacks! 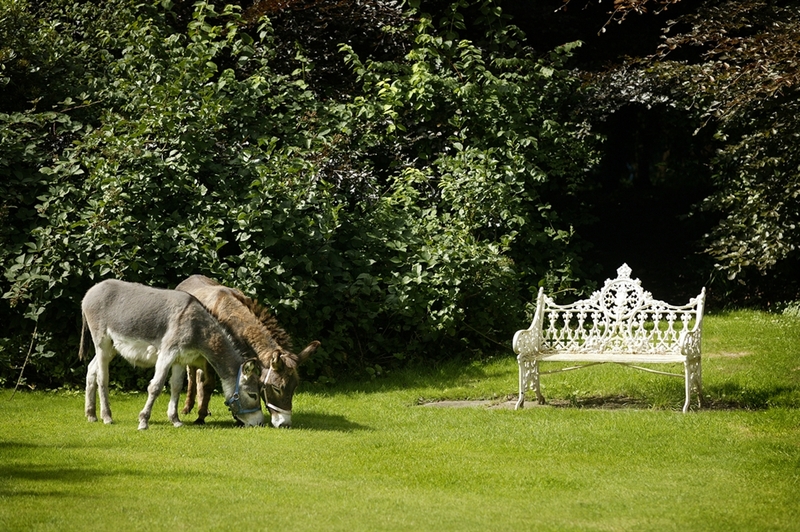 Within the grounds you will find Hanka and Anya, two beautiful Halflinger horses, and the recent additions of our three donkeys; Lilly, Charlie and Archie. 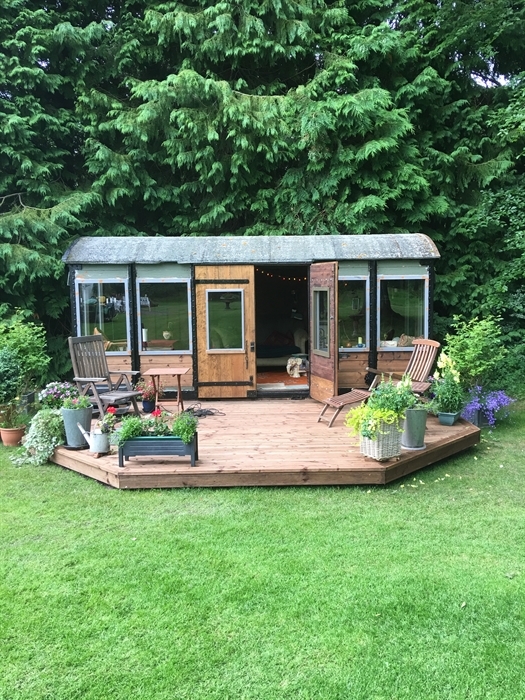 Out on the lawns you can enjoy an afternoon of croquet or when the weather is not so kind, indoors you can be treated to a game of billiards. 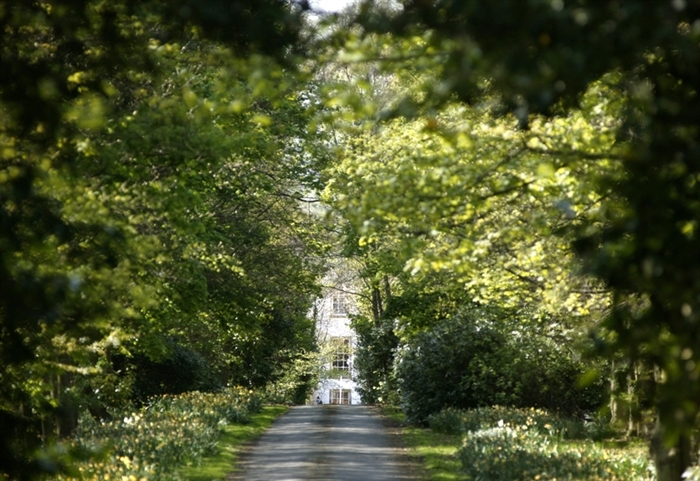 Further afield lies the rolling countryside of East Lothian; home to the finest selection of world class golf courses, golden beaches and a wealth of local amenities. Historic golf courses such as Gullane and the Open Championship Course at Muirfield are a short distance away; the beautiful coastline offers various water sports activities and stunning walks, whilst the many historic castles and churches will satisfy those with a thirst for heritage. 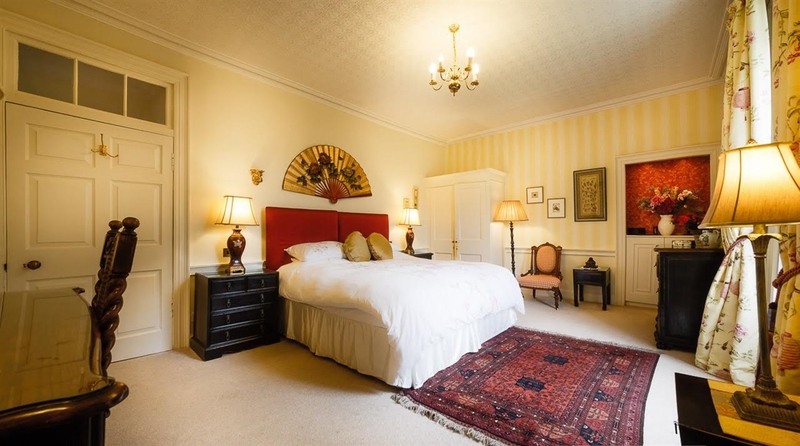 Traditional country pursuits are also well catered for in East Lothian and on return from a days outing, Letham House invites you to unwind in your suite or relax in one of the public rooms, such as the magnificent and spacious Drawing Room or the intimate Music Room.